Our best wishes for a Happy Holiday Season! We wish you good luck and success in the New Year! As the New Year dawns, may it bring you the beginning of new hopes, higher aspirations and greater possibilities! Harmony today and confidence in the future for you and your loved ones! 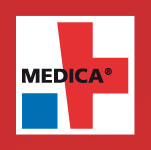 Sincerely, the staff of the "Medical-biological Union"
The largest international medical forum "Medica-2014" will take place in November from 12th till 15th in Dusseldorf. 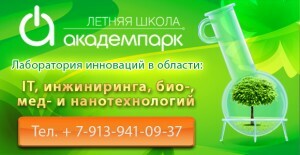 "Medical Biologicall Union" Ltd. traditionally takes part in the exhibition and the business program. Products, development and information materials will be presented at booth number 3K25. MBU has been represented at Medica 2013, World Forum for Medicine, 20th -23rd of November, 2013, Düsseldorf, Germany. This year MBU has presented Technopark of Novosibirsk Academgorodok, companies of its Biotechnological Business Incubator and other organizations. MBU-Technology, Ltd. is a biotechnology focused contract research organization that offers many types of research services, all of them designed to effectively fulfill specific research needs. Genetc-Test, Llc. 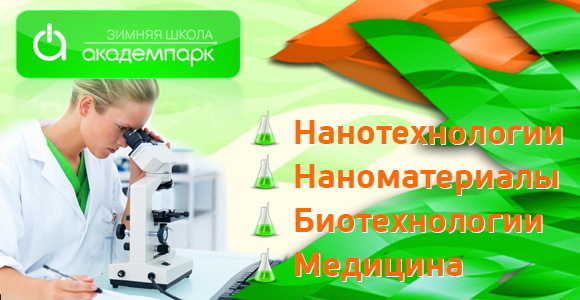 can determinate a person's psychological dermatoglifiki genetic markers the company received the gold medal of All-Russian Exhibition Centre in the category "Best Innovation Project" in May 2013. Biolabmix offers reagent kits for biopolymer research. BIOSAN is well known organization that provides reagents in the field of PCR-analyses, immunobiology and molecular biology. a Novel technology platform for point-of-care immunodiagnostics based on the chips. Medical Biological Union, Ltd. is celebrating its 21years in business. Faith in our community has helped us grow into a strong firm. Thank you for long-term cooperation! We appreciate your taking a chance on us. MBU traditionally participated in Summer School 2013 held in Academpark (Novosibirsk Technopark) from July, 23th to August, 6th. Section “Nanotechnologies and nanomaterials/Biotechnologies and medicine” (Nano-Bio-Med) was managed and lead by MBU in collaboration with resident companies of Academpark. This section was created specially for supporting a new generation of developers, implementation of their ideas and increasing their chances for success. Young innovators got opportunities for being consulted and trained by the heads of leading innovation companies and futhermore for presenting their own projects to experts. We are pleased to notice the high level of this year event, and wish a success to all participants. Winter School 2013 took place at Academpark, Novosibirsk Technopark, from 26th of February till 26th of March. Section “Nanotechnology and nanomaterial/Biotechnology and medicine” (Nano-Bio-Med) opened its doors for participants: students, postgraduates, innovators from companies-residents of Academpark. MBU took a part as curator, expert and partner of this section. After competition, the graduated teams with best innovative projects are invited to join the business incubator of Academpark. MBU Ltd. celebrated its 20th Anniversary. We are proud and say thank you to all our colleagues, partners and customers for the fruitful, long-lasting cooperation! Summer Workshop took place at Academpark, Novosibirsk Technopark, from 23th of July till 7th of August. Section “Nanotechnology and nanomaterial/Biotechnology and medicine” (Nano-Bio-Med) was managed and directed by MBU and Sygma.Innovations. In this section, the participants learned more about actual innovation models, current and developing trends of markets, IP protection, and patents developing. Scholars took part in project development training as the teams directed by stated tasks. Yang developers worked with individual supervisor and have the possibilities to improve and finalize own projects with experts as consultants, which are the heads of leading companies-residents of Academpark. The experts arranged consultations how to embed the project for the different applications. Winter Workshop has started at Academpark, Novosibirsk Technopark. MBU is an expert and a supervisor of section Biotechnology and pharmaceutics. In section the students, postgraduates of NSU, NSMU and young scientists learn more about current innovation tools and schemes, actual and developing trends of economic sector, represent own projects as a basis for the small innovation establishment and start-up. Experts consult the students within the frame of their project development and management and help them to identify the following application. Chamber of Commerce and Industry (CCI) of the Russian Federation has identified MBU as 1’st Grade winner of National Award "Golden Mercury", nomination "The Best Enterprise-exporter in the field of international innovative cooperation". MBU has been rewarded by the Ministry of Industry, Trade and Business development of Novosibirsk region as a winner of two nominations within 2011 competition "Best entity of small and medium-sized enterprise of Novosibirsk region". Company achievements have been affirmed with Diploma as a 1’st place winner in the nomination «The Best exporter - entity of small and medium-sized enterprise" and 2’nd Place Diploma in the nomination «The Best entity of small and medium-sized enterprise in Innovations"
Novosibirsk city Administration and Mayor, Council of Deputies and its Chairman rewarded MBU with 1’st Grade Diploma as a winner in the nomination "Best cooperation between science and business" among medium-sized industry enterprises of city within "2011 Novosibirsk Science Day celebration". MBU has taken part in two nominations of 2010 competition "Best entity of small and medium- sized enterprise of Novosibirsk region" announced by the Ministry of Industry, Trade and Business development of Novosibirsk region. Company was rewarded with Diploma as a 1"st place winner in the nomination «The Best exporter - entity of small and medium- sized enterprise" and with 2"nd Place Diploma in the nomination «The Best entity of small and medium-sized enterprise in Innovations"
Novosibirsk city administration has recorded MBU company on Novosibirsk city"s "Board of Honour" for the weighty contribution in socio-economic development of the city. Novosibirsk city administration and Novosibirsk Mayor, Mr. Vladimir Gorodetsky rewarded MBU company and its Director, Mr. Mikhail Lossev for the winning in a competition «The Best small-scale enterprise and entrepreneur of the year - 2009" in the nomination "Innovation Business". Novosibirsk city Administration and Mayor, Council of Deputies and its Chairman rewarded MBU with 1"st Grade Diploma as a winner in the nomination "Successful cooperation between science and business" among small-scale industry enterprises of city within "2009 Novosibirsk Science Day celebration". One-day seminar "New regulations in certification according ISO 9000, ISO 17021" took place in Exhibition center,Novosibirsk Scientific Center area, Novosibirsk, Russia. The goal of which was presentation of Mr. Udo Kubitz, Head of Department of International Certification, TÜV NORD CERT, Germany, who has visited Novosibirsk in the course of working visit. This seminar was arranged by Technopark in Novosibirsk Academgorodok, OJSC, under supporting Administration of Soviet district, Novosibirsk, and provided with assistance of Association "SibAcademInnovation" and Medical Biological Union, Ltd.
Novosibirsk city administration and Mayor rewarded MBU Director Mr. Mikhail Lossev with Memorable Mark "For the work for the welfare of the City" in honour of 115-th anniversary of city foundation. Congratulations! MBU Ltd. celebrates 15th anniversary today, 31 of August, 2007. And we are glad to share this joy with our colleagues and friends around the world. This date is the day also to make a look back. We are proud of our relationship with our esteemed international customers and partners. We highly appreciate their trust to our company and believe that we can do best to meet their expectations. MBU took part in First Siberian Venture Fair, 27-29 of June, 2007, Novosibirsk and it has been rewarded as a winner of Fair Venture Projects competition in the nomination "Best Marketing". MBU has developed the HIV fourth generation assay: enzyme-linked immunosorbent assay (ELISA)for the detection of antibodies to HIV-1 and HIV-2 and p24 antigen of HIV-1 in human serum and plasma - HIV-1,2-Ag/Ab. The test-kit is convenient in use as it is fully completed with working solutions and it has a ready-to-use reagents format for Conjugate 1, Conjugate 2, Chromogen. Revealing HIV p24 antigen in the sample with sensitivity of up to 10 pkg/ml allows to diagnose HIV infection at an early stage. MBU has started to develop new product line of PCR test kits: kits for PCR genotyping. The first kit coming soon is PCR-Genotype-Thrombophilia (Factor V G1691→A; Prothrombin G20210→A; MTHFR C677→T). It is a PCR assay for detection and genotyping of single point mutations: of human factor V (G to A position 1691), of prothrombin (G to A position 20210) and of methylenetetrahydrofolate reductase (MTHFR) (C to T position 677) genes using RFLP technique. Novosibirsk city administration and Mayor rewarded MBU and its Director for the winning in a competition «The Best small-scale enterprise and entrepreneur of 2005 year" in the nomination "Effectiveness and Development".